Chocolate is a beautiful thing—don’t you think? The Mayans and Aztecs sure thought so. So how can you possibly make it even better? 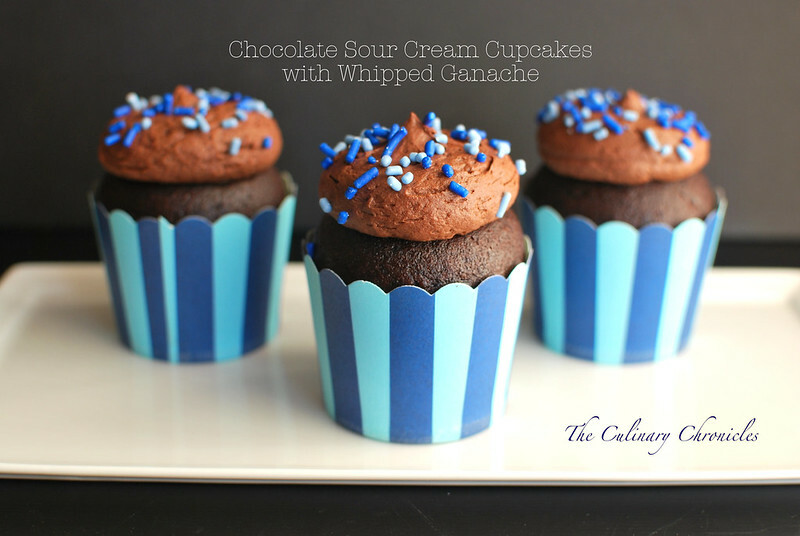 These cuppies are decadently rich with the deep flavor of cocoa. Due to the tangy sour cream, it’s not only incredibly moist but perfectly balanced. As for the frosting, what better than an uber chocolatey whipped ganache? So simple, so much chocolate. But be warned—come equipped with a tall glass of milk. And with that Friends– Happy 1st Day of Summer & National Flip Flop Day!!! Preheat oven to 350 degrees. Place paper liners in cupcake pans. Sift together cocoa powder, flour, baking soda, baking powder, and salt into a large bowl. In a mixing stand with the paddle attachment, beat eggs and sugar for 2-3 minutes until they become a pale yellow. Add the oil, sour cream, coffee, and vanilla extract. Mix until combined. Slowly add dry ingredients and mix until just incorporated. Fill each of the cups ¾ the way up. Bake for 18-20 minutes or until a toothpick inserted in the center comes out clean. Allow cupcakes to cool in the pans for 5 minutes before removing to cooling racks. While the cupcakes cool, prepare the ganache frosting. Place the chopped chocolate in a bowl. In a small saucepan, bring the heavy cream just to a boil. Remove and pour the scalded cream through a fine-meshed sieve directly into the bowl of the chopped chocolate. Loosely cover the bowl with plastic wrap and let sit for 4-5 minutes. Gently whisk the mixture until the ganache is smooth and glossy. Whisk in coffee liqueur, optional. Refrigerate for 15-20 minutes until the ganache has slightly chilled. Transfer the ganache to the bowl of a mixing stand. 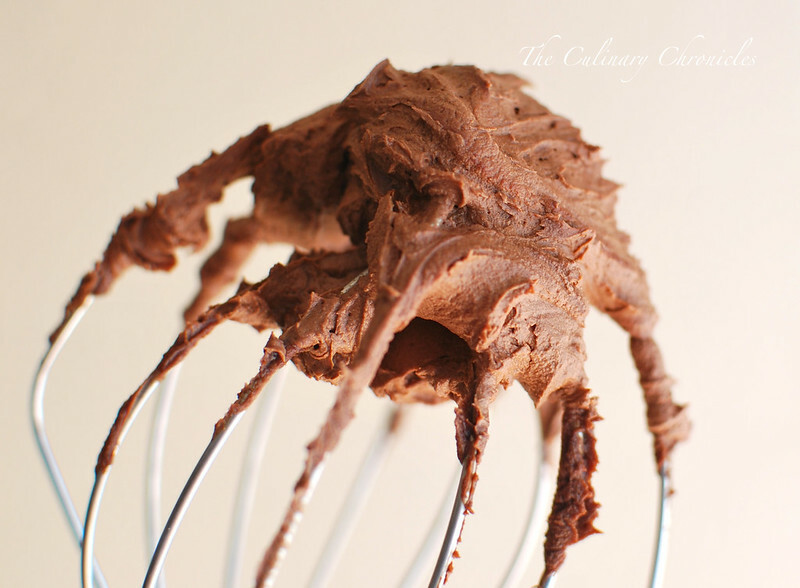 With the whisk attachment, whisk until the ganache becomes light and fluffy. Fill a piping bag with the frosting and pipe on top of the cooled cupcakes. Garnish with sprinkles. Next Post Pssst….. I wrote a Cookbook + GIVEAWAY!! Those look too good to be true!